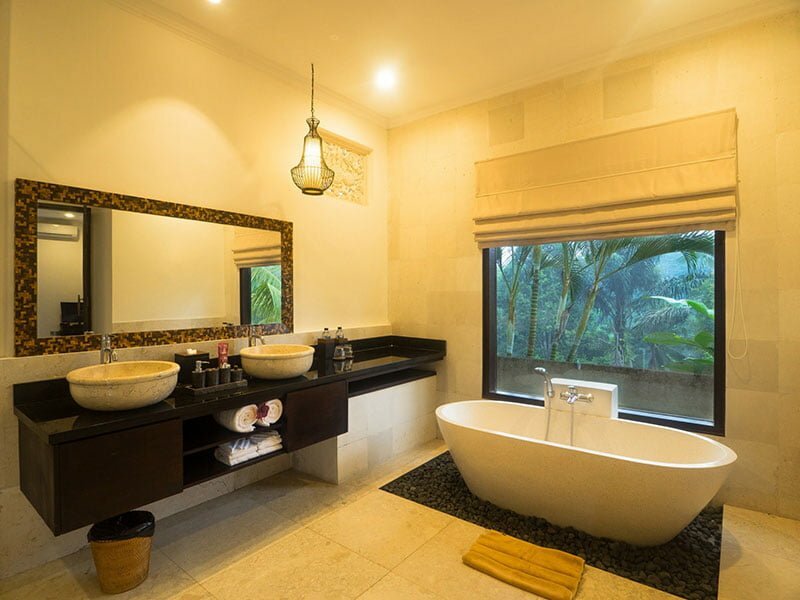 Villa Kembang in Ubud is ideal for a large group of travelers. 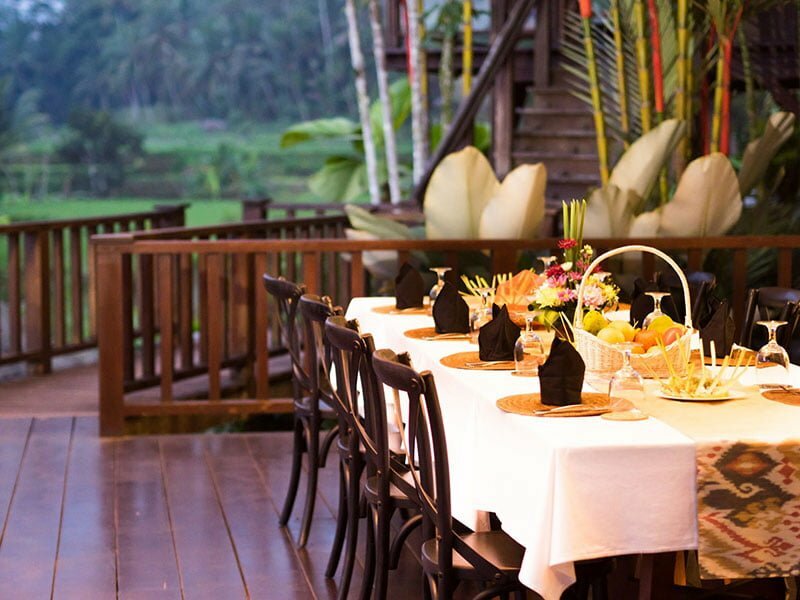 Kembang is an estate of several pavilions with enchanting treats both outdoors and indoors. 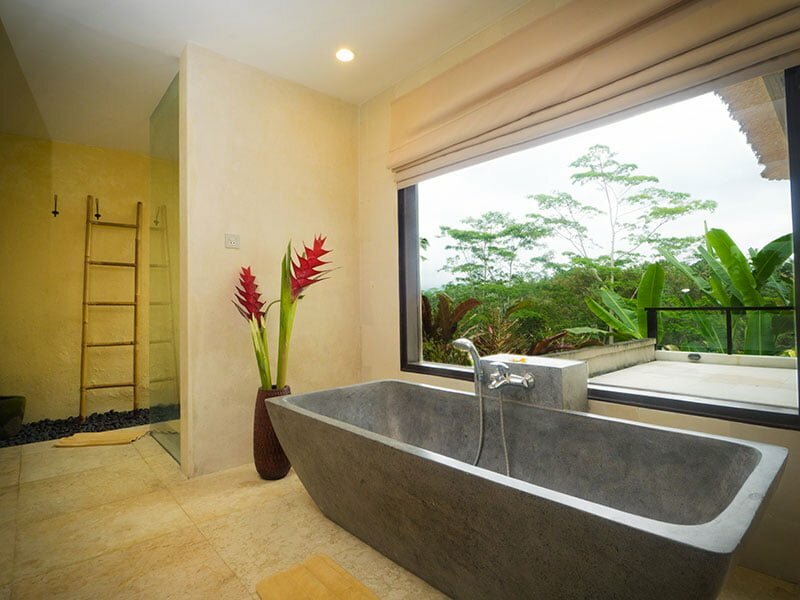 Villa Kembang is a quiet setting, private and endowed with scenic landscapes. 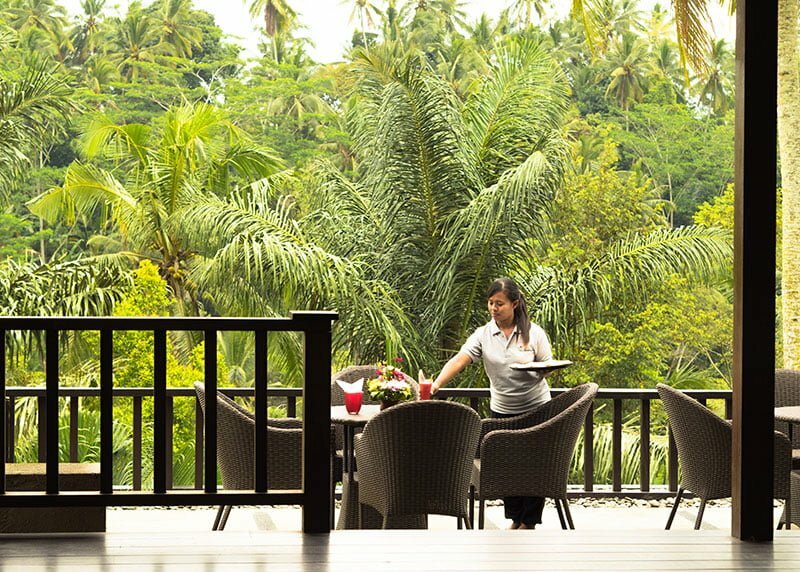 Here, you will be in the heart of Balinese culture as you become part of life on the island of the gods. Though tucked in a rural setting, luxury and comfort are possible in the sophisticated amenities. 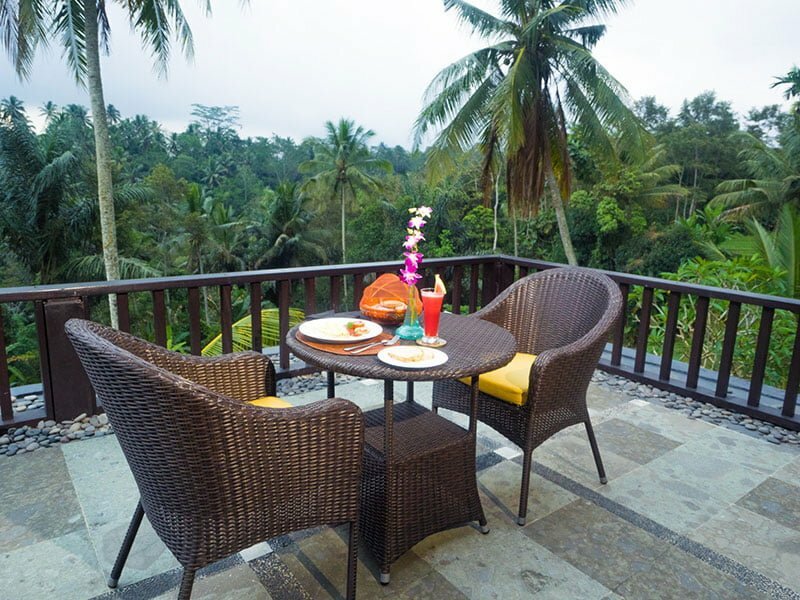 Villa Kembang can as well be a guidebook for travelers and industry followers. 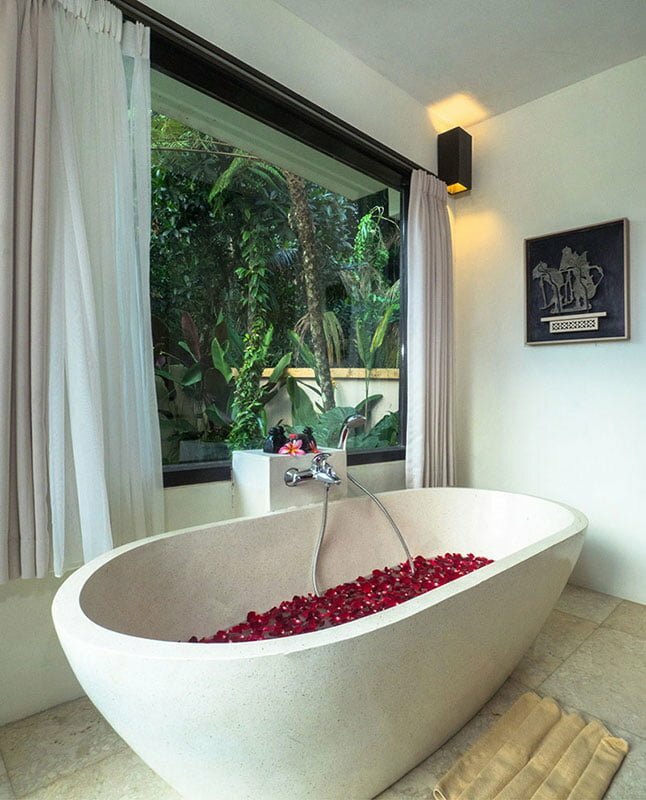 There are never-ending possibilities for peace, relaxation, and rejuvenation. 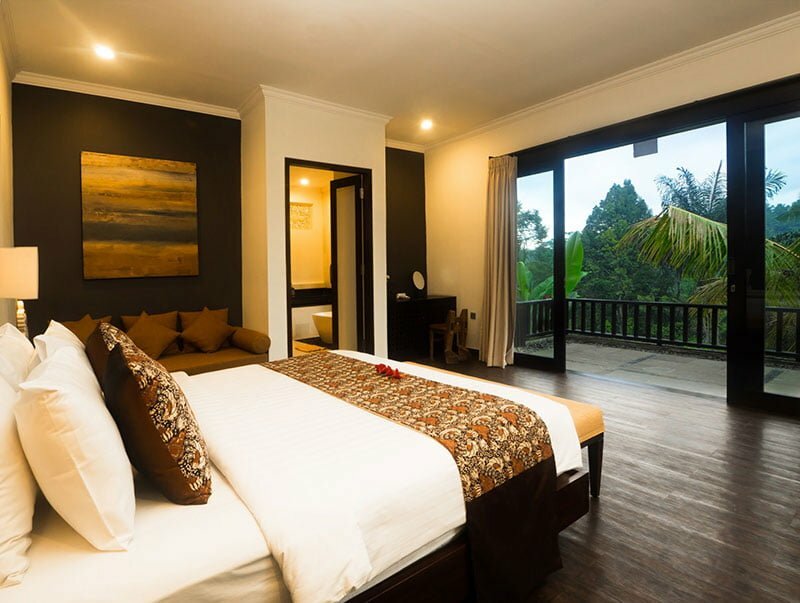 In the Villa Kembang estate, there are 7 bedrooms all named after flowers. 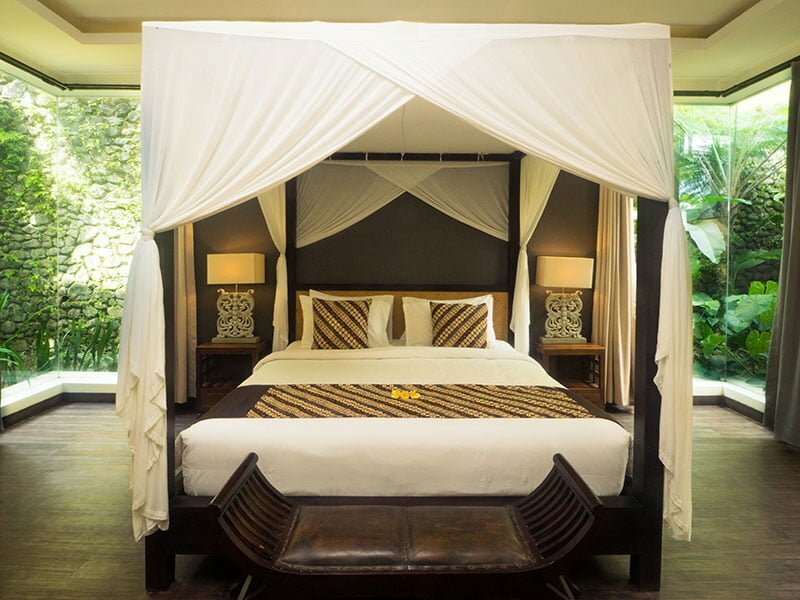 You will be nestling with the birds and beautiful skyward panoramas in Kenanga, Cempaka and Kamboja bedrooms in the two pavilions on opposite sides of the compound. 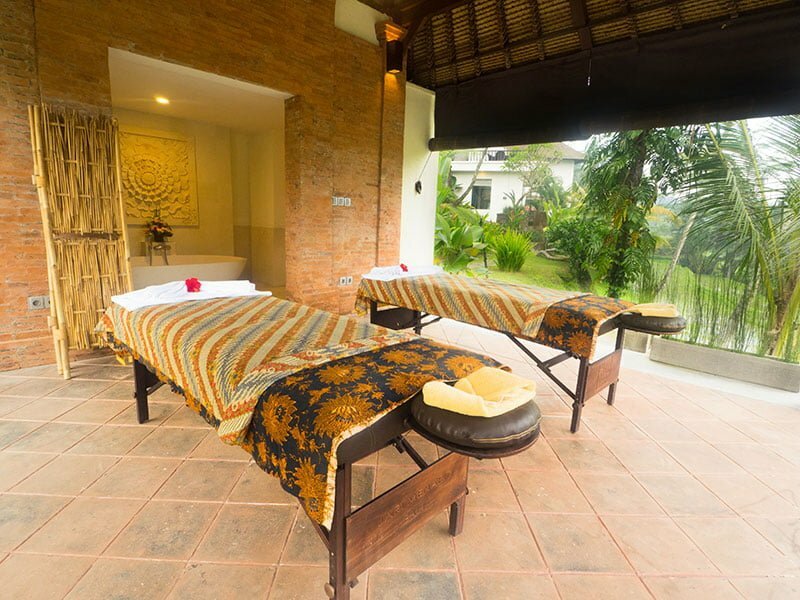 Their upstairs bedrooms open out to a furnished balcony with sweeping views of the gardens, the rice fields, and the distant mountains. 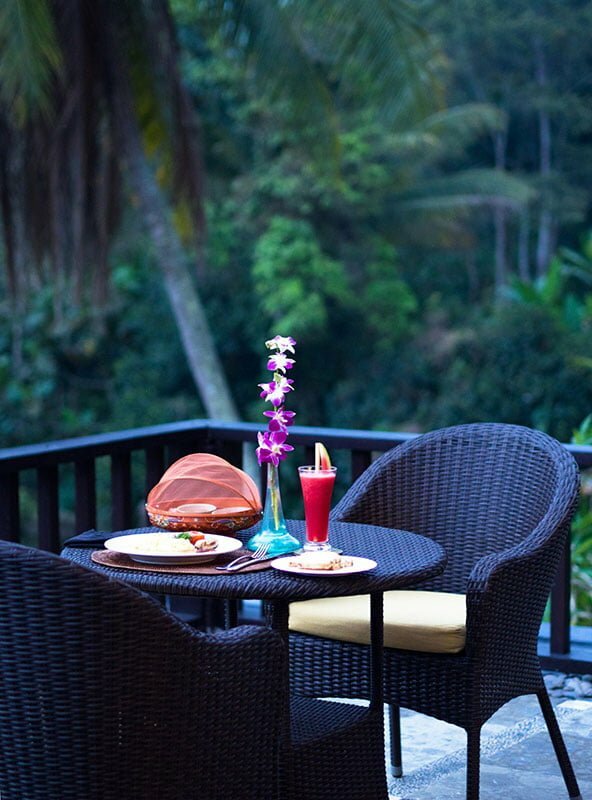 Gardenia is located under the Dining terrace while Dahlia has extra privacy for couples and lovers. 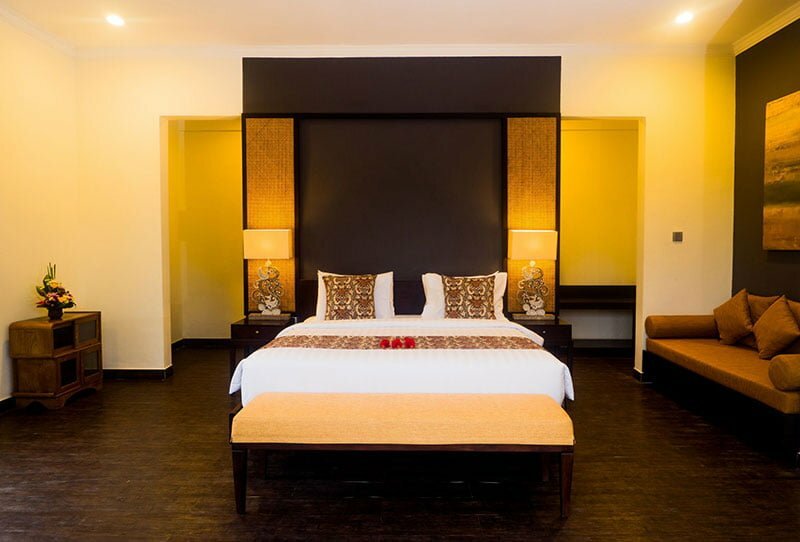 Flamboyant and Bougainvillea have connecting doors, so these 2 rooms are suitable for families. All the rooms are full of life. 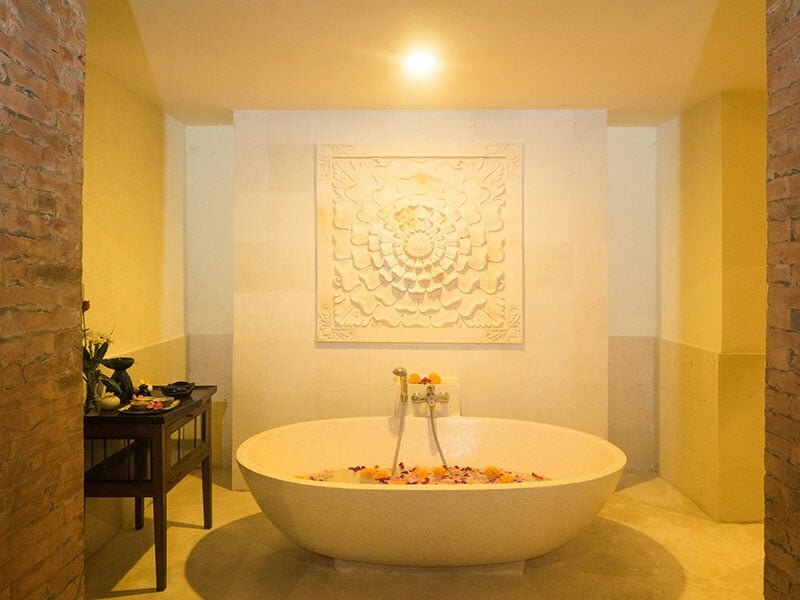 The magnificence is in the stylish and traditional Balinese appointments. 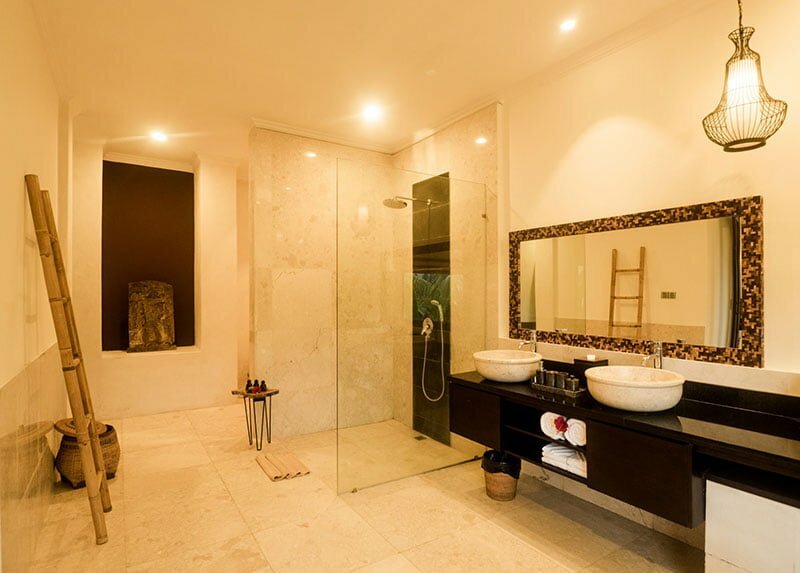 The ensuite bathrooms are well appointed and offer guests an outdoor experience. One of the bedrooms opens out to the infinity pool and the garden area. 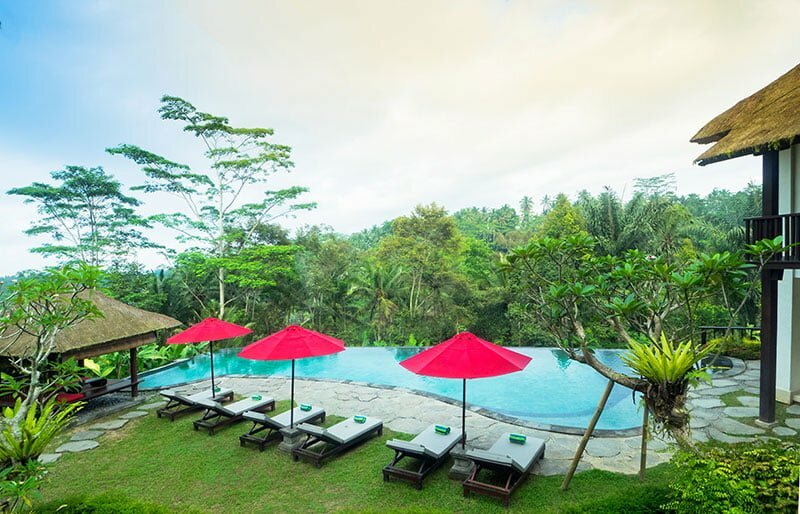 Ubud is the cultural and most naturally endowed province of Bali. 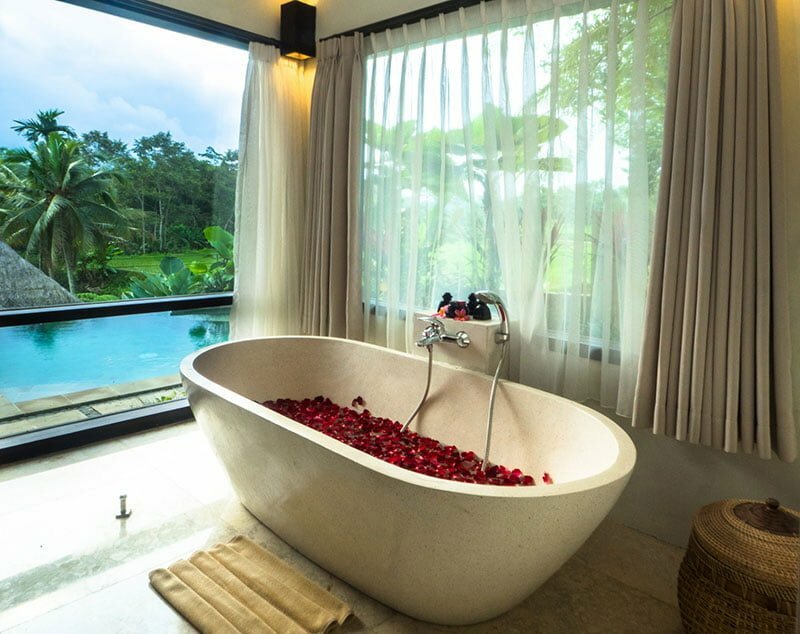 Things to do here include trios to the sacred monkey forest, the Ubud Palace, and the Neka Art Museum. You can also shop at the Ubud Market for souvenirs and spoil yourself with gifts at Threads of Life and Chez Monique Jewelry. The exterior features a wondrously landscaped space consisting of an infinity pool, a garden of greens and tropical thicket, daybeds, and cabanas. You can dive into the experience of the calming sensation of the waters, lay bare in the sun to soak on the vital vitamins or take an afternoon nap in the cabanas. The air refreshing, the view is stunning, and the quiet peace is a dream come true for many vacationers. The living and dining spaces are in the Wantilan – a traditional meeting house. Here you can relax on the beautiful coaches and catch up with family and friends. From the living area, you will still be able to drink in the scenic views of the outdoors and enjoy the fresh air. On the opposite side of the living area is the main dining space which can accommodate ten people. Sumptuous meals are prepared in the kitchen area. The modern kitchen opens out to the dining area and the dining terrace that is well furnished. Here is also a media room with a TV set, a game room with a pool table and a spa room with massage beds. There is a tea of friendly staff that works in housekeeping and Maintenace of the garden and the pool. You will naturally fall in love with their genuine dedication to the guest experience. 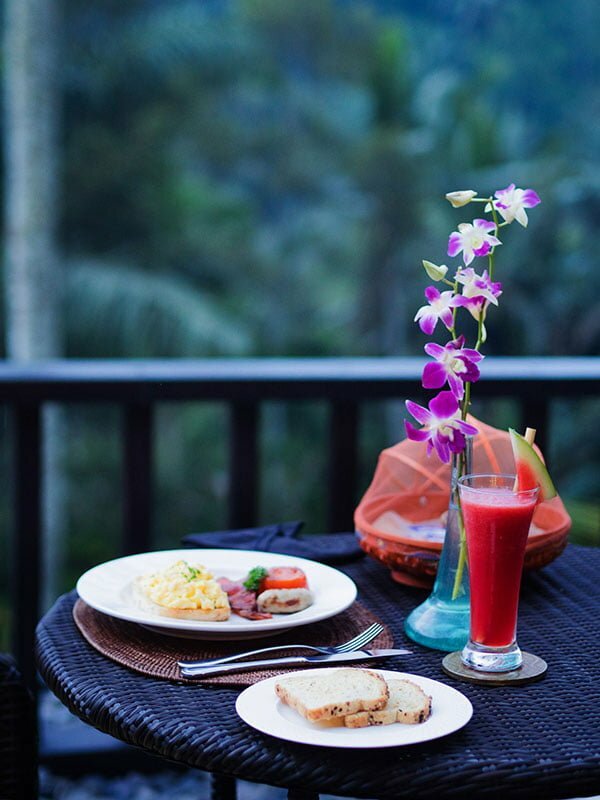 At an additional cost, a private chef, a babysitter, and masseur can be brought in at your request.